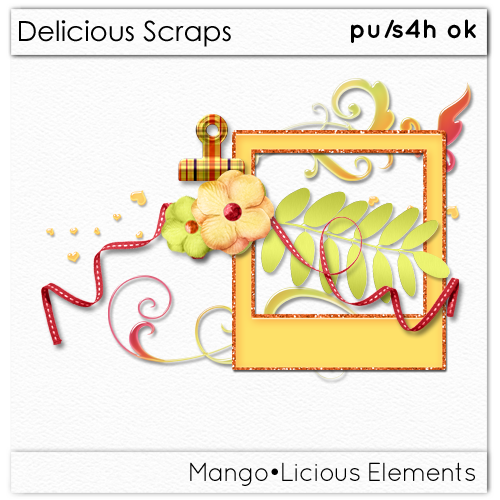 Here are the elements from "MangoLicious"
Thank you very much for this sunny, delightful kit. Thank you so much for this Freebie. 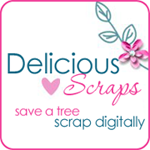 I want to let you know that I posted a link to your blog in Creative Busy Hands Scrapbook Freebies Search List, under the Page 5 post on Aug. 18, 2009. Thanks again. As always....the colors are just amazing! thanks so much. This is an awesome kit. Thanks so much for sharing. I snagged several of your kits and add-ons. Should keep me busy for DAYS! Such an inspiration! Thank you for all of these!